Apparently now the English flag is racist too! 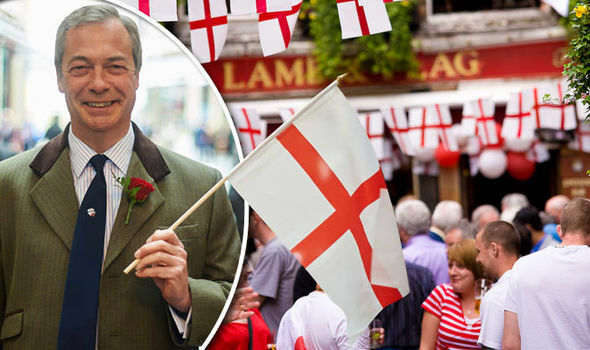 Today I saw the most bizarre video on Good Morning Britain’s official Facebook Page, it was a gentleman sitting next to Nigel Farage trying to argue that the English flag is 'Racist' as the EDL & BNP fly the English Flag! This argument is utterly ludicrous, and the gentleman clearly has no grasp on reality to say that the St George’s Cross is racist. I was so Glad when it was Nigel’s time to speak, a little bit of common sense was well needed & Nigel Never fails to deliver. Even Piers Morgan defended the English flag saying “Well okay let me through something back at you when I grew up I remember massive street parties for the Queens anniversary for example silver jubilee and so on and everyone would bring out there St. Georges Flag with great pride about there country, It may have been misappropriated by people who have nefarious to do so but fundamentally it remains the flag of the country." Do you Celebrate St George’s Day? Do you agree we should fly our flag with pride? Read: "Cabinet Minister caught up in sleaze SCANDAL!"